Mitra Path is dedicated to improving communities around the world by helping people start and manage small businesses. We believe that home-based and small businesses can provide not only a decent livelihood for owners and employees, but also help the community flourish. With mindfulness, we can identify a particular need of the society that we wish to fulfill and thus find the motive for our business. Entrepreneurship helps us manage that business successfully. We practice mindfulness based on ‘Not-Knowing.’ According to Bernie Glassman, Not-Knowing is entering a situation without being attached to any opinion, idea or concept. This means total openness to the situation and deep listening to the situation. We practice entrepreneurship based on the management philosophy of Dr. Kazuo Inamori, which is focused on the happiness of employees and contribution to society. Our vision is a society in which individuals have meaningful livelihoods that enable them to experience their deepest nature. To study, practice, and encourage social entrepreneurship based on mindfulness. Provide financial, technical, and managerial support to people with limited resources. Helping entrepreneurs grow their businesses and create jobs. Our ultimate goal is to build communities and transform lives. Meet the people behind Mitra Path. Currently CEO and President of Calsoft Systems, an IT consulting company Torrance, California. 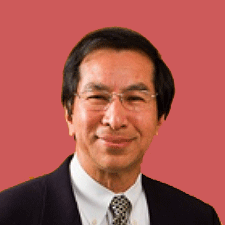 Nem received his education in electrical and computer engineering from Japan, Netherlands, and the USA. His work experience includes an engineer for hydropower development in Nepal, software development and management positions for computer-based access control systems in the USA. As a senior member of Los Angeles Seiwajyuku, Nem has practiced Inamori Business Management at Calsoft and has received ‘Excellent Management Award’ from Dr. Kazuo Inamori. He is a member of Zen Center of Los Angeles and practices Zen meditation. She is Vice President and Chief Technical Officer of Calsoft Systems. 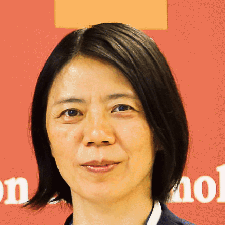 Prior to Calsoft Systems, she worked in China and Japan both in software development and management positions. She holds a bachelor’s degree with honors in Computer Science and Application from Beijing University of Technology, Beijing, China. Books, articles, and events to help guide you on your path. If you are thinking of a new career, a new business, or wish to manage your work more effectively, meditation can help you. We invite you to join our sitting group. We meet Fridays biweekly to meditate and to discuss important topics related to our work. Fee: This is a free event. Donations are gratefully accepted. Based on his own experience as an engineer, an entrepreneur and a Zen practitioner, Nem Bajra will show you a path leading to career fulfillment. Work can be financially rewarding, personally fulfilling and beneficial to our community by integrating meditation with business and personal development skills. Although several resources including technology, meditation and self-development methods are readily available to us, we are often too busy (or our mind is too cluttered) to utilize these resources effectively in our everyday work life. In the midst of a chaotic and competitive world, meditation has helped Nem and his team build an employee-owned and managed IT consulting company that is profitable and dedicated to the well-being of the community. Our chosen venue will be the Zen Center of Los Angeles, where thousands of people including scholars, artists, entrepreneurs and professionals have been trained on Zen meditation based on the 2500 years old tradition. Sessions are open to all levels. There is no need to attend the sessions in order. However, newcomers are asked to arrive at 7:00 PM so that they can get an overview of the MCF program and receive instructions on Meditation. Please RSVP by contacting Nem if you plan to do so. Ready to begin your journey with us? You can reach us below.